Soffit and Fascia are critical aspects of your home’s ventilation systems. 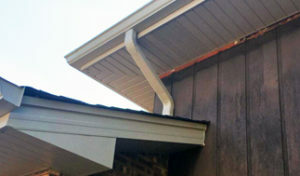 The Fascia board is mounted adjacent to the edge of the root, and often you may see that gutters are attached to the fascia. The Soffit board is attached underneath the Fascia board, when you stand under the roof, it’s what you see when you look up. Soffit boards are commonly ventilated so that there is air flowing to the root, protecting the roof from excessive moisture that may cause rotting and decay of the roof. The two work together to create a roof that is free of mold, mildew and other moisture damage. AJ Exteriors’ Soffit and Fascia Installation service offers a choice of high quality aluminum, providing maintenance-free protection and beauty to your home. The two will work together to create a continuous flow of air through and underneath the roof to stop warm air from condensing, which encourages mold formation. When your soffit and fascia installation is done properly and correctly, they are waterproofed and sealed. This is so that deterioration can divert for a long period time. 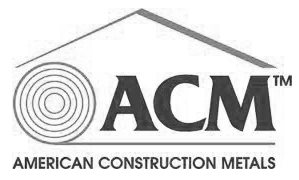 Along with proper installations, we offer brands like Rollex Soffit and Fascia, Cutting Edge Soffit and Fascia, and ACM Metals. Each of these products encourages hot air and detrimental moisture out of the attic, keeping the space cool and dry. The products from our brands strategically control the climate of your roof hassle-free and maintenance-free. Installing the right soffit and fascia system can create a beautifully finished look to your home. We provide a wide array of soffit and fascia colors, materials and styles. We can assess whether your home requires a new soffit and fascia installation or a repair. Don’t hesitate to contact us, we’re here to walk you through your project start to finish.